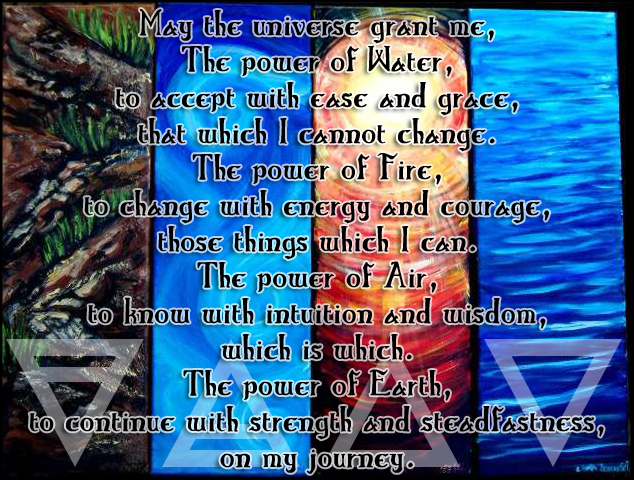 The power of water, to accept with ease and grace, that which I cannot change. The power of fire, to change with energy and courage, those things which I can. The power of air, to know with intuition and wisdom, which is which. The power of earth, to continue with strength and steadfastness, on my journey.